Those of us living in areas with four seasons can feel a little spoiled when autumn comes around. Taking pictures during the fall can feel like cheating. Not only are there an abundance of colors, but there is also amazing light. It can seem hard to take a bad picture with Mother Nature seemingly on your side. When captured right, autumn can create images that are the envy of everyone. However, that does not mean you should get lazy and complacent. Fall is a great time to take portraits, but sometimes creating unique photos can be challenging. 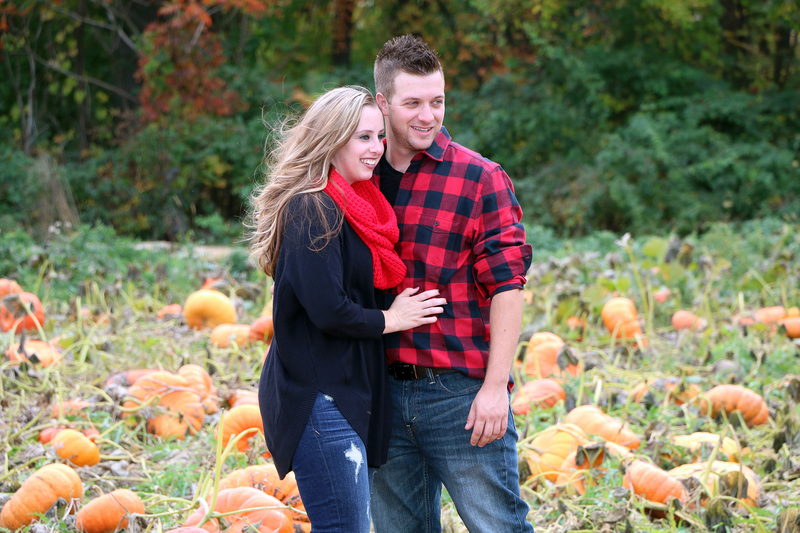 Here are a few tips to make the most out of your fall photo shoot! The location should be one of the first things you think about for your photo shoots. This is especially true for autumn when things can change rather quickly. Leaves can change over a couple of days and it can be hard to find your perfect autumn colors if you wait too late or go out too early. Heavy winds or frost can take them down overnight, so while one day may be perfect, the next could not. Scout out your location close to your photo shoot date. Don’t let a whole week pass between your scouting trip. Time is of the essence and you don’t want to be left with a bare skeletal arrangement if you wait too long. Some sections of parks can even close down for the winter. Plus, the weather can be pretty fickle at this time of year. A perfectly sunny day can turn into a torrential rainstorm in a matter of hours. The Weather Channel is your friend. They even have this nifty regional guide that lets you know what phase the leaves are in. When looking for a spot, find one that screams fall! If you live in an area with a lot of trees, go for a drive and search for the perfect spot. Apple orchards are great go-to locations. If you have children, they will love climbing the trees! You can also have them go under the trees, between rows, and even have a quick snack if you get hungry. Another amazingly-autumn option is a pumpkin patch with plenty of pumpkins, gourds, hay bales, and wagons. Bear in mind that sometimes you have to pay for the use of a farm for professional photos. However, most of the time simply asking ahead will suffice. For any shoot, the key is to be prepared. It’s a no-brainer that you should come with your camera equipment charged, with cards, and clean gear, but that can be overlooked. Clearing cards can be stressful, so make sure you have plenty of backups. If your card still has optimal space on it, don’t clear it off unless you absolutely have to. If you are clearing your cards, use the Format function (in the camera) that will give you a completely clear card. There are rumors that deleting single images in-camera can lead to corrupting the card, so it’s best to use the Format function. Part of being prepared is knowing the perfect time to shoot. Hands-down sunrise and sunset give the best light. If you don’t want to drag yourself out of bed at the crack of dawn, aim to start shooting about an hour before sunset. The Golden Hour is favored by many because the light is more flattering and you may even get a great sunset. Look for sunset times in your area. The days start to get shorter in autumn and you’ll want at least an hour of shooting before the sun goes down. It may seem obvious, but it is important that your clients know to dress for the weather. However, you may have a tough time convincing them that a sweater is a good wardrobe choice for a shoot. While it may be warm one afternoon, it can get cold pretty quickly once the sun starts to go down. Explain how important body language is and how difficult it is to nail a shot when they’re shivering. Avoid clothing with dominant logos. As much as everyone loves Star Wars, this can date an image and be very distracting. The best wardrobe is neutral and basic, so it doesn’t fight for attention with your awesome fall backdrop and the expressions of the people in the photo. Try to avoid clashing colors among your subjects and maybe come up with a color theme. Have everyone bring a few changes of clothes with them. Not only will this provide variety in your image, but when conditions can be wet and muddy, especially if you have children, you may need them. With so many seasonal props available, use them to your advantage. Warm quilts, coffee mugs, hay bales, stacks of wheat, mums, and even campfires are all synonymous with fall. Plus, most of these items can be found at your local farmers market, borrowed from a family member or friend, found at yard sales, or bought from thrift stores. Pumpkins are also standard fall props. Gather up a bunch and set them around your subjects or place them in a wagon with kids. If you’re taking pictures with a baby, try cleaning out a pumpkin and placing the child inside. Another, possibly too obvious, idea is using leaves. Rake up a huge pile of leaves and ask the children to jump in them or lay in the center of the pile. Try to get up high above the subject and shoot down. You can also have kids and adults throw leaves in the air. Just make sure your camera is set on continuous shooting to capture as much of the action as possible. At New York Marketing, we offer professional photography and video packages for all of your events and fundraisers, as well as headshots, product shots, portraits, and more. Get high-quality prints directly shipped to your home or office. Bookmark this article Fall Into Autumn Photoshoots!